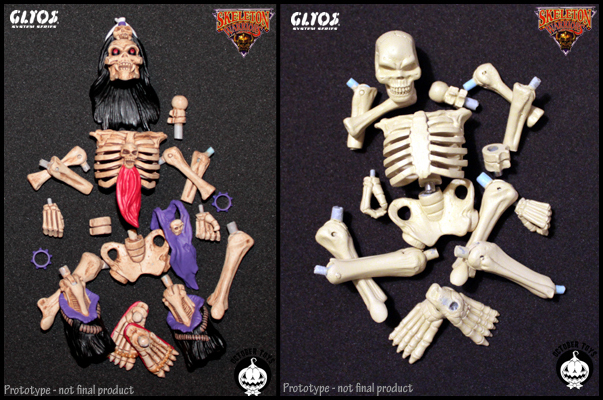 October Toys is excited to announce the launch of their latest project – Skeleton Warriors! 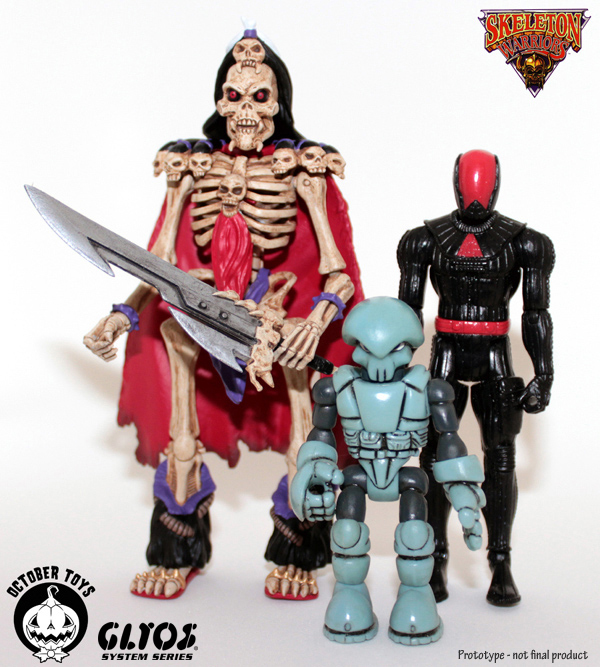 These new, Glyos compatible action figures were designed with collectors in mind while drawing inspiration from both the 90’s Skeleton Warriors cartoon characters as well as original concept art provided by the awesome team at Goddard Film Group, LLC. 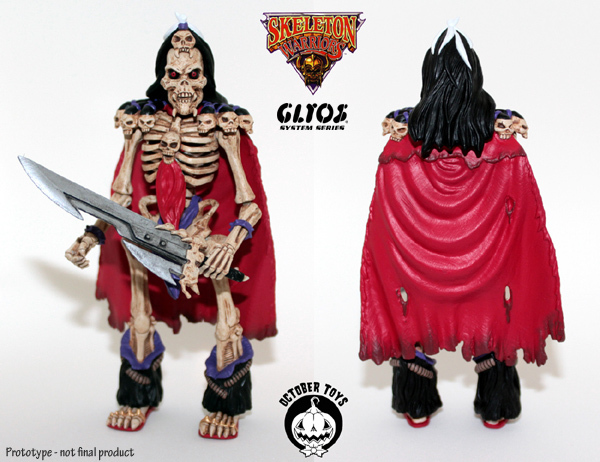 This is designed to be 3 3/4″ scale line of articulated PVC action figures and since Baron Dark is the biggest of the main cast of characters, he clocks in at 5″ tall with 26 points of Glyos compatible articulation! 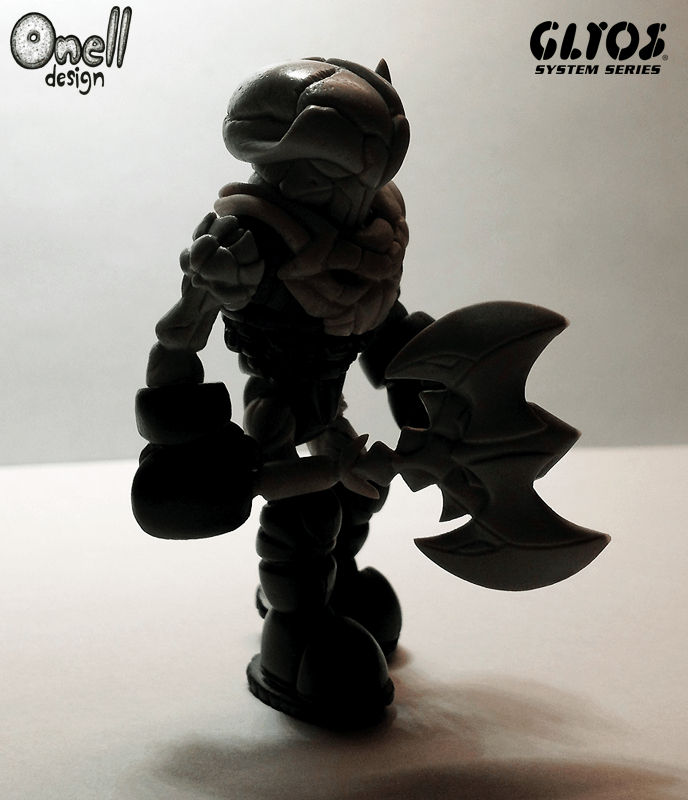 The Glyos System, developed by the insanely talented Matt Doughty of Onell Design, is a system for making action figure parts interchangeable. 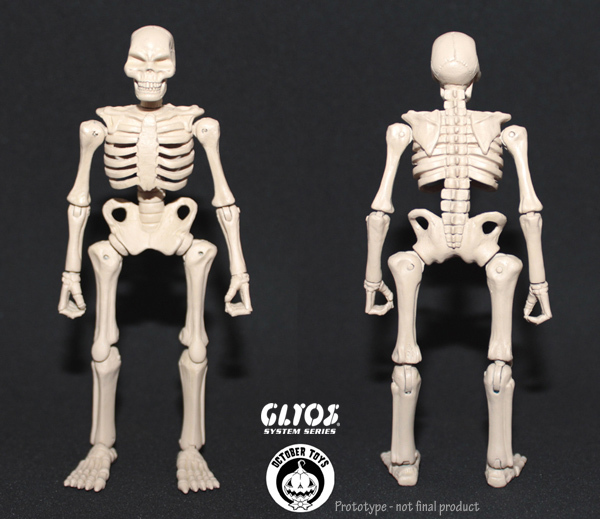 These figures utilize Glybrid style joints, which allows for a combination of traditional insert molded articulation with the swivel based Glyos fit functions. 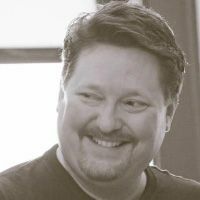 That means you can break these figures apart, reassemble them, and even use the parts interchangeably with other Glyos System brands such as The Four Horsemen’s Power Lords, Outer Space Men, and even classic Onell Design Glyos figures! 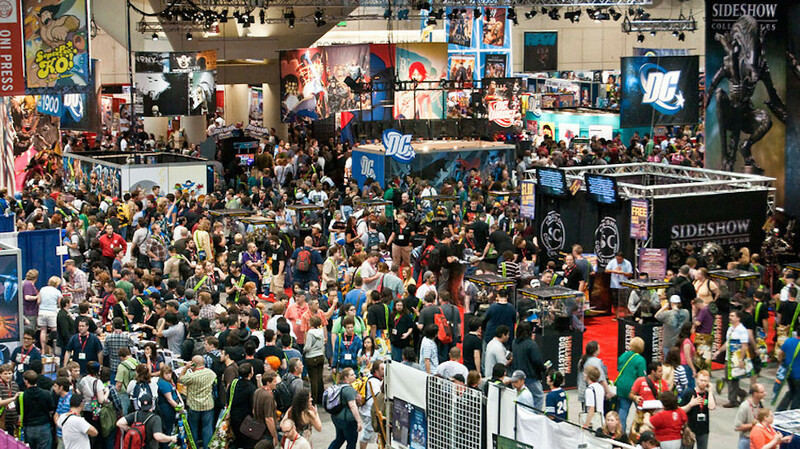 · Special First Edition available exclusively through this Kickstarter!